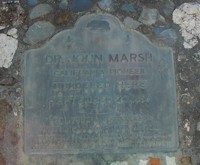 Dr. Marsh, who practiced medicine througout the state from his house near Brentwood, purchased Rancho Meganos in 1837. 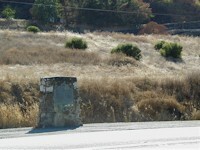 On his way home from Martinez, he was murdered here by ruffians on September 24, 1856. The offical state marker plaque.